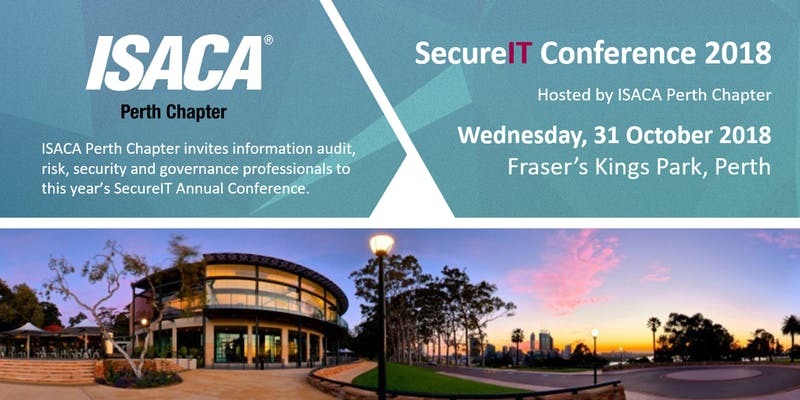 On behalf of the ISACA Perth Chapter Board, we want to thank you for attending SecureIT 2018 on October 31st, 2018 at Fraser's Kings Park. Please find the link below to the presenters slide decks from the day. Sharing slide decks is at the discretion of the our Speaker and not all presentation may be available. We hope that you found the conference informative and worthwhile. As a reminder, CPE for the day was 7.25. 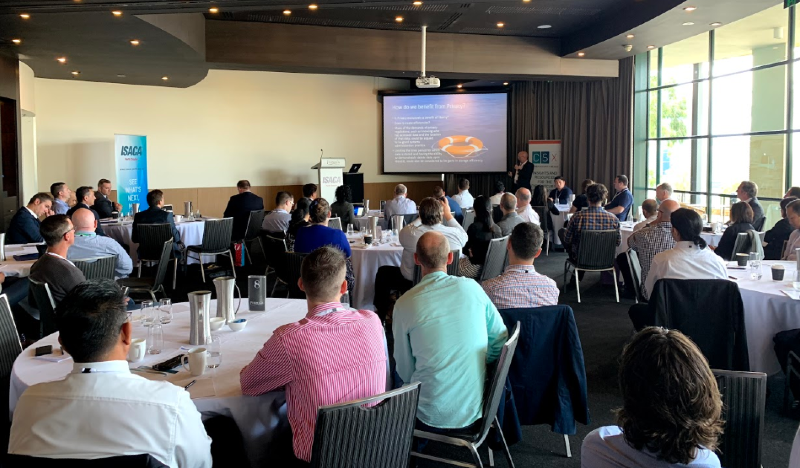 Thanks again for a great day and we’ll be announcing SecureIT 2019 as soon as possible! 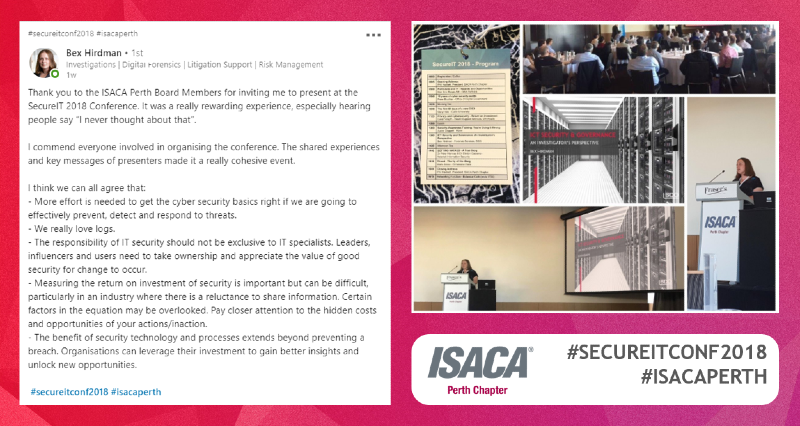 Congratulations to Bex Hirdman as the winner of the ISACA Perth SecureIT Conference, Best Social Media Post competition. Bex has won a FREE TICKET to SecureIT Conference 2019. Social media posts with the hashtag #SecureITConf2018 and #ISACAPerth were voted on by the ISACA Perth Board. We look forward to seeing you all at SecureIT 2019.